How to Choose the Best Vegan Boots for Hiking? Once I saw the picture of these I had to have them. They look amazing! It’s like they are made for extreme sport and not just for hiking. They look very rigid, but they are super lightweight. 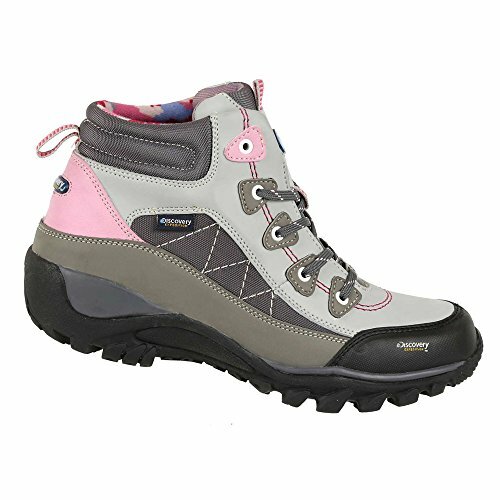 These boots feature Gore-Tex like Merrell, so you can be sure they will be waterproof and breathable. I can say that these GTX boots can be great for just about any outdoor activity by how well designed they are. The rubber caps on the toes and heel make them a great choice for mountaineering and hiking on hard mountain trails. As for the comfort, they feature Adidas’ own technology in the midsole which makes it very durable and shock absorbent. I had the feeling like I was walking on the clouds. They can be worn both by men and women due to their unisex design and a wide variety of color options. Personally, I had to have the black/aqua color combination; it looks unreal! They blend easily in every condition and clothing combination so they can be worn in daily life as well. Now, just about when you thought they are perfect, I have to say that of course, they are not. It’s a minor thing, but I would like the ankle support to be a bit improved. The first time I saw the Discovery boots I had an impression that they will be too expensive for me, but once I checked the price tag, I was amazed. They look so serious and quality built and yet so inexpensive, possibly the best value for money I ever got. They come in two color variants; you can choose between brown and sand color with pink accents. The soles of the boots have a good grip, and they are suitable for any outdoor activity. The boots have a good temperature isolation and preservation which makes them a good choice for cold weather. The support on the ankle is very satisfying while the motion of the foot is not limited. The base of the boots is synthetic, and the soles are made of rubber. Complete outer surfaces of the boots are waterproof what I personally tested while hiking in a horrible storm on my way back home. There isn’t any cushion on the soles which I found a bit of a letdown, but overall they are pretty durable and sturdy. These boots draw my attention with their interesting and unusual design; it’s like they are made in the future. They come in different colors, so they can match any types and colors of pants. They are designed to be unisex, so a variety of sizes are available and they can be worn both by men and women. There are no laces on these boots what I absolutely loved, and they can be converted from high to mid boots in a second. 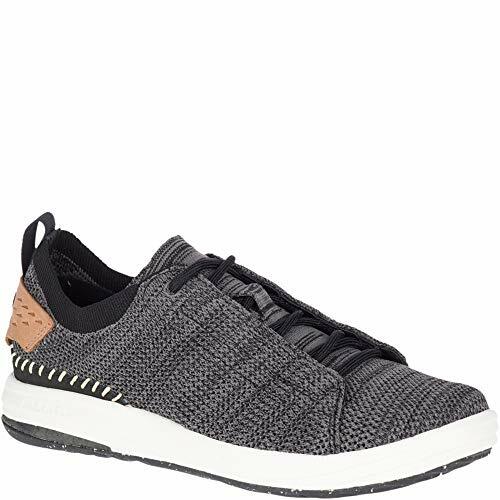 I was blown off with their lightweight and how comfortable they are. It’s like I’m not wearing anything at all. Even after a couple of hours walking, my feet didn’t feel so tired and sore as they were before, I even start thinking to wear them casually around town. Now, the most important thing: materials. All materials used to make these boots are eco-friendly, organic and cruelty-free, which just proved to me that you don’t have to use animal products to have quality boots. The price fits the value of the boots very well; I think I got a bargain. The only thing I have to say was a bit of a letdown is that the size I ordered was a bit big for my feet, but I managed to solve the problem with a couple of insoles I had. 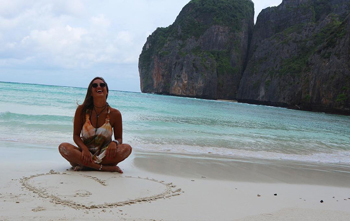 I know what you could be thinking about next, are they waterproof? Well, I wouldn’t say they are waterproof, but they are water resistant. The water resistance is achieved with a chemical treatment to the entire boot. 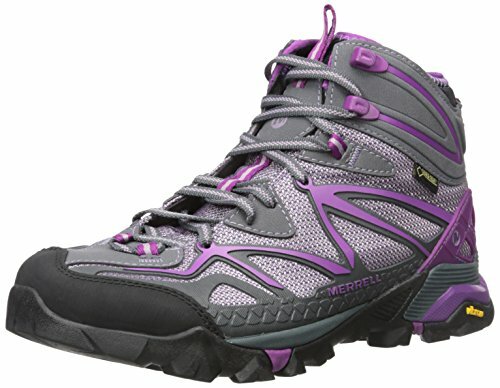 The Merrell’s Capra boots could be the best choice for the people who like to go on fast hikes. They absorb the shocks pretty well, and the heel has an air cushion on it. While hiking in these, I got the feeling like I’m wearing running shoes. The soles are pretty rigid, and they have a good grip on uneven and slippery surfaces. They are not the warmest boots out there, but they are completely water resistant. They come in two variants, bot have purple color accents, which I loved, and there’s even a men version as well if you want to get your partner a pair too. They seem pretty durable and well built. They were a bit pricey, not the most affordable option, but considering the quality, I can’t say I was ripped off. The break-in period is virtually nonexistent, they feel good right out of the box, although they are kind of narrow for me. These boots are completely made of fabric and synthetics with the Gore-Tex and M-Select technologies for freshness and water resistance. Even after a couple of hours of walking, they were fresh and odor-free. They proved their value the best while I was walking in the muddy terrain, I didn’t slip or fall, so that’s a big plus for me. Now, these are not exactly boots, but a great pair of shoes that look like they are made for sprinting. Possibly the best option for forest hiking, it literally feels like I’m not wearing any shoes at all, they are so lightweight. The ventilation is awesome, the feet stay cool, and they dry super quickly. Have in mind that these won’t be a great performer in the wet conditions, they are not waterproof, but they will dry off in a matter of minutes. As for the sole protection, they did a fantastic job; the rubber soles grip great on rocks, roots and stream beds. Comfort is not a problem with these shoes, the soles are cushioned, and the feet are completely hugged. The stability was great, going uphill and downhill was a piece of cake. There is no break-in period; they are so flexible that they feel great right out of the box. I’m not used to walking without ankle support, but that’s my personal preference, so it felt kind of weird without it. And the size was a bit smaller than it should be. For the good weather conditions, let’s say for summer hikes, these might be the best choice. First things first, check the materials the boots are made of. Luckily there are a lot of artificial and synthetic materials today that can be used to make a pair of boots. The only reason leather is still wanted is due to the myth that leather performs better than synthetic materials, which is exactly the opposite. Many hikers are aware of this, and they choose synthetic boots over leather ones whether they are vegan or not. The second most important thing is the grip. 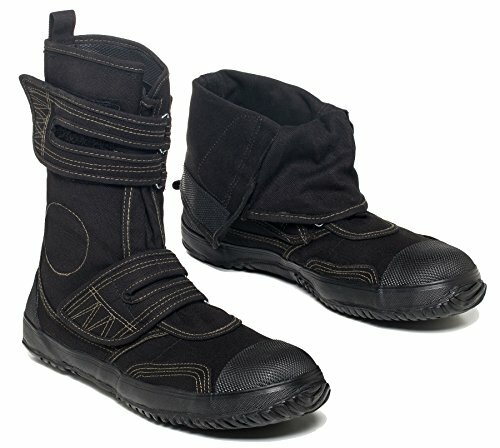 What’s the use of the hiking boots if they can’t perform well in the outdoors on various slippery terrains? The soles should be made of rubber, and they should be made in a way that they can provide you with stability in muddy terrain. The best design for soles imitate the crampons like the ones on the mountain climbing boots. Next, make sure they have some kind of ankle support. I’m a big fan of good ankle support, ever since I tried on my first high shoes, I never went back. Especially for hiking, this might be a great advantage to have while walking on rough terrain. Also, some boots might have good ankle support, but they somewhat limit the mobility, so pay attention to the flexibility of shoes. You will encounter rainy weather or some shallow ponds while walking in the outdoors, so it’s important to have boots that will keep your feet dry. Some manufacturers will label their boots as waterproof, and some will label them as water resistant. And there is a big difference between the two. Waterproof boots can be soaked, and they are sealed so no water can get to your feet. Water resistant boots are treated with a chemical that makes the water slide away from them, so there is a small possibility that your feet can get wet with this kind of boots. Hikes can go on for hours, which can make your feet unable to breathe, make them sweaty and leave an odor in the boots. 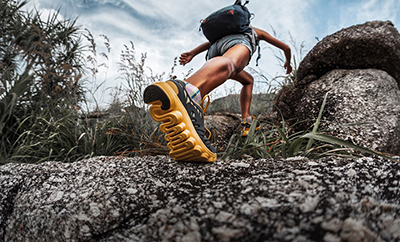 Some of the hiking boots are designed in a way, so the air flows through making the feet to stay cool and dry at all times. But, they cannot be ventilated and waterproof at the same time. They can be water resistant, however. Having synthetic materials is great, but just how they are used is reflected on the comfort of the boots. They can look great, but once you try them out, you might feel like you are wearing the shoes made of wood. If they break in fast, it means they are well built. The weight of the boots is equally important as the comfort. Hiking should be done with enjoyment it’s not supposed to be a workout with weights on your feet. The lighter the boot, the rested the feet will be. Some boots manage to be rugged and lightweight at the same time; those are the ones you should pay attention to. For those of you fans of winter hikes, this is an important matter. If you want your feet to stay warm, make sure the boots are isolated and warm. They should be a bit thicker and have some kind of lining to warm the feet in the cold weather conditions. While going over rocks, and hard terrain your feet can get pretty sore. To prevent this or to reduce the pain to the max, the boots should have shock absorption abilities. Usually, it’s the soles of the boots that have some kind of cushion, mostly the air cushion, to reduce the pressure on your feet and the ankles. Versatility is a great plus. It’s awesome if you can get one pair to do the job for various terrains and hiking purposes. Some can even be used for everyday life. It’s not a must-have option, but a great feature to have as a bonus. Of course, everything comes down to a price of the boots. The goal is not to pay more than the real value of the boots. Watch out for the overpriced boots that perform equally like the way much cheaper options. To have a cruelty-free footwear is great, but it also has to perform like any other hiking boots available. One thing is to feel good knowing that no animals were hurt so you can walk freely, but the other is to regret the money you spent on something that has let you down. 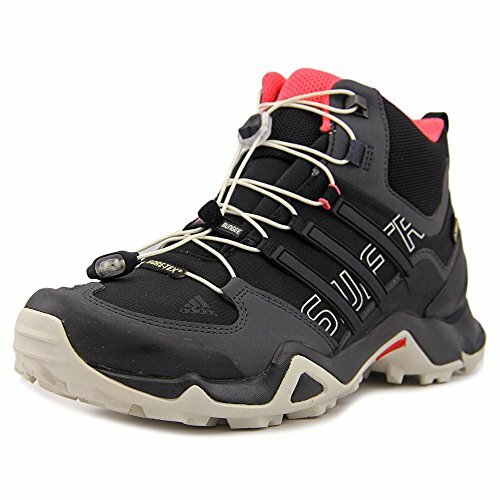 All the requirements needed to make one pair of boots the best vegan hiking boots available are achieved with Adidas Women's Terrex Swift R Mid GTX W Shoes. I hope I was of help to you, and that you found something to suit your hiking needs! GORE-TEX extended comfort footwear. ^Mesh and synthetic upper for lightweight and comfort.^adiprene insert for comfort and shock absorption.^super high traction rubber for optimal grip in wet conditions.